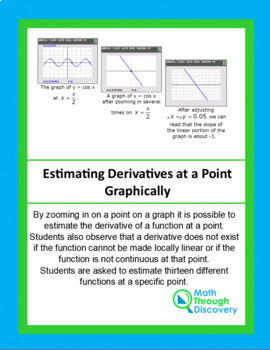 By zooming in on a point on a graph it is possible to estimate the derivative of a function at a point. 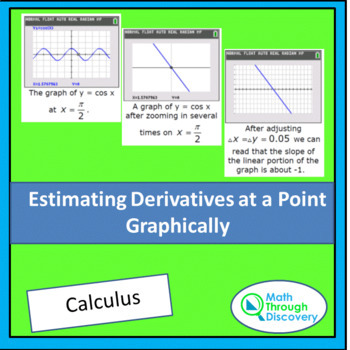 Students also observe that a derivative does not exist if the function cannot be made locally linear or if the function is not continuous at that point. Students are asked to estimate thirteen different functions at a specific point.